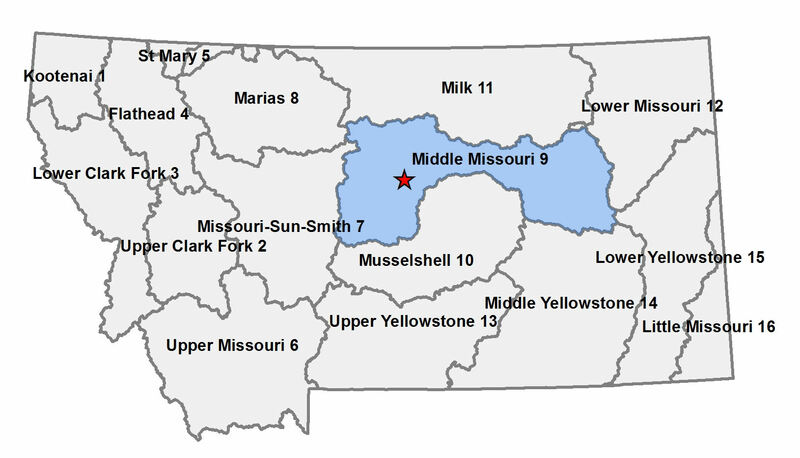 The Middle Missouri Mitigation Bank has been authorized by the U.S. Army Corps of Engineers, Omaha District, to serve as a stream and wetland mitigation bank within the Middle Missouri Major Watershed Basin in central Montana (see figure). 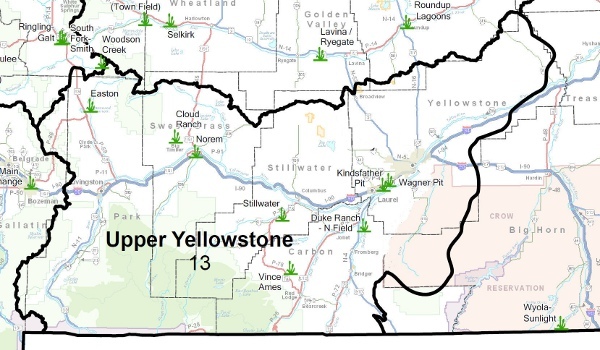 The purpose of the bank is to provide compensatory mitigation for projects which impact wetland and/or stream resources where the Corps of Engineers and/or the Montana DEQ have jurisdiction. As development activities affect the natural resource base in this major watershed basin, the proactive restoration of Salt Creek and its tributaries, as well as adjacent riparian and wetland habitats, creates an opportunity for advanced mitigation of those impacts under Section 404 (Clean Water Act) regulatory program. The mitigation bank is operated through an administrative management partnership between Middle Missouri Mitigation, LLC and Eco-Asset Management, LLC. Utilizing credits from the Middle Missouri Mitigation Bank is a relatively simple process – identify the mitigation bank during the permit application process as the source of mitigation credits and, after the permit is issued, execute a credit purchase agreement with the Bank sponsors. Following payment of the credit fees, the Bank's ledger will be updated and a copy forwarded to the permitting district of the Corps of Engineers referencing the permit number and types/numbers of credits debited from the Bank for the permittee's project. ALL LIABILITY, RESPONSIBILITY, COSTS, ETC. FOR THE MITIGATION CREDITS FROM THE BANK ARE ENTIRELY BORNE BY THE BANK SPONSOR. Once payment is made, the permittee has no further obligations to the Corps for the mitigation project, EVER. The U.S. Army Corps of Engineers determines the Bank’s “value” by quantifying the created or restored wetland and stream functions in terms of “credits”. A “Mitigation Banking Instrument” establishes the Bank’s goals, ownership, location, size, wetland and stream types included, trading area, crediting methods and accounting procedures, performance and success criteria, monitoring and reporting protocol, contingency plans, financial assurances, long-term responsibility, etc. Subsequent permit applicants proposing wetland and stream impacts must first meet all other normal permitting requirements imposed by state and federal agencies, such as avoidance and minimization of impacts, prior to proposing mitigation. Once the mitigation step is reached, however, purchase of Bank credits is a simple and efficient means of obtaining final approval for a permit. Permittees simply reach a financial agreement with the Bank, and then withdraw credits from the Bank based on anticipated impacts associated with their development activities. There are approximately 60 acres of impacted wetlands and over 10 miles of degraded stream and river areas including over seven miles of Salt Creek, a major prairie stream tributary to the Judith and Missouri Rivers. Stream restoration and enhancement activities will focus on areas of bank erosion, overwidened channels and significant sources of thermal pollution, which is disruptive to fish breeding and hold-over capacity. Mitigation banking is the creation, restoration and/or protection of areas of wetlands and streams in advance of, and as an offset (mitigation) for, anticipated impacts to those resources within the same watershed. The mitigation banking option provides a means of advance planning that makes the permitting process more predictable and minimizes time and costs. In addition, all of the permittee’s liabilities for mitigation are transferred to the Bank as part of the process. Mitigation banking is different from other forms of mitigation in three key aspects. First, banked wetlands and streams are developed in advance of, or concurrently with, anticipated impacts in the area so that fully functional habitat areas are in place by the time impacts occur. Second, banks are typically large areas which provide credits for numerous contemplated impacts, as opposed to the typical impact-by-impact process associated with conventional wetland permitting. Finally, once the permittee and Bank Sponsor have come to agreement, all of the permittee’s liabilities and obligations associated with producing the mitigation transfers to the Bank. © 2015 Middle Missouri Mitigation Bank. All rights reserved.